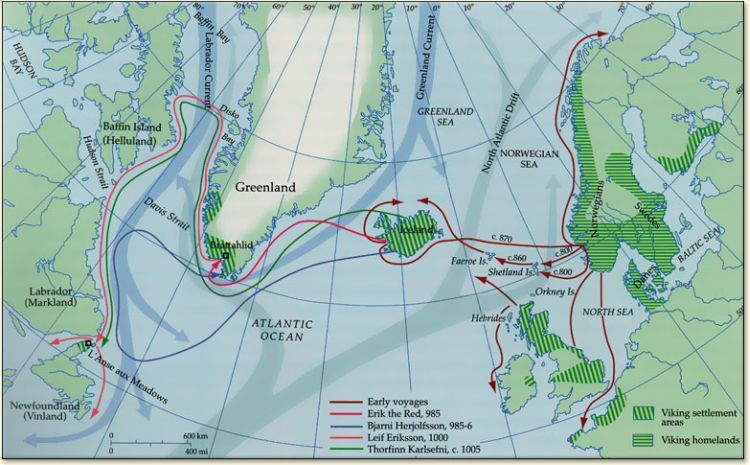 Over on brilliantmaps.com, they shared maps on "Countries That Were Raided Or Settled By The Vikings Based On Modern Borders" here. 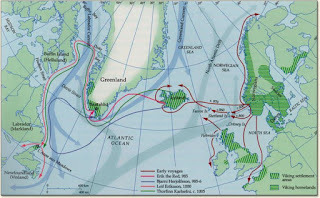 Also, on webexhibits.org, they tell us "Vikings Came Before Columbus" with maps here. 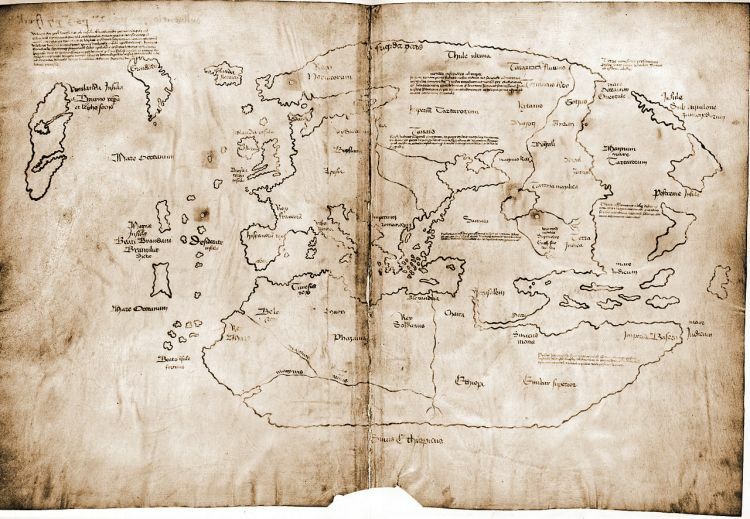 Finally, there's been an ongoing controversy over the so-called Vinland Map which some believe to be a forgery. A few years ago on the show "Secrets" they did a whole episode which is sampled here on the Smithsonian channel website. And the same discussion was taken up on NOVA on PBS some time ago as well and is detailed here. Per Wikipedia here, is was revealed in 1965 as a 15th Century map and as soon as photos of the map were circulating, the controversy began!